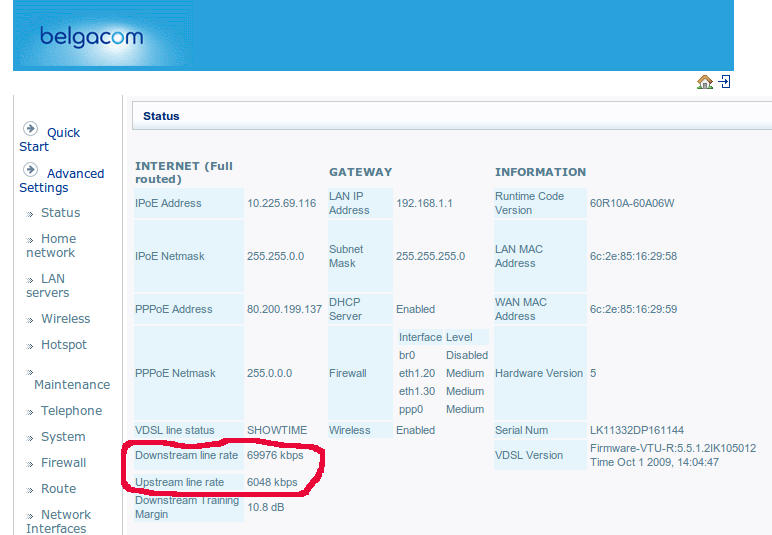 At home, I have a VDSL2 line from Belgacom used for Internet and Belgacom TV. I have a Belgacom Mobile (Proximus) data subscription. I am connected on Internet with a PC using my cellphone (HSDPA+ / 3.5G) as a portable WIFI hotspot.